It’s easier to learn by seeing than by simply reading. 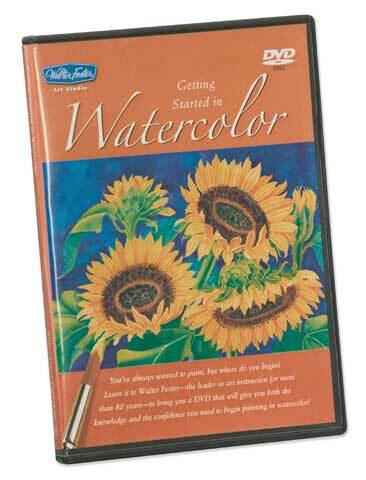 This instructional DVD offers a variety of basic information presented by a professional artist. Topics covered include materials, caring for materials and watercolor painting techniques. It’s 60 minutes long, and you can pause and replay whenever you want to see a technique repeated. A great value for the price!